As an alternative to default Embed JS form code you can try an iFrame version. 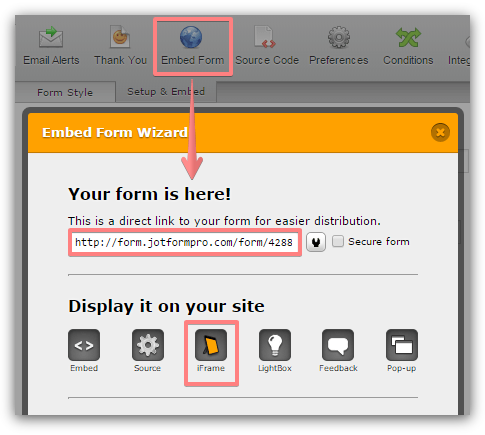 If the iFrame code is being stripped too, you can simply add a link to your form, so that the form users will be redirected to the form on the JotForm site. Which Form Embed Code Should I Use?